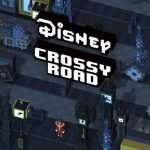 We’ve already shared with you a strategy guide for Disney Crossy Road that talks about how you can unlock the game’s secret characters. That happened quite a while back, so if you need a little more information on the game, read on and we’ll be happy to fill you in. 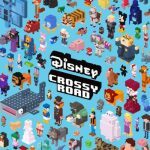 Disney Crossy Road is an iOS game that combines the mechanics of Crossy Road with all your favorite Disney characters. It is the creation of Hipster Whale, which you may remember as the company that gave us the original Crossy Road. There are more than 100 Disney and Pixar characters to collect, as well as eight-bit depictions of your favorite Disney landmarks, including the Haunted Mansion, San Fransokyo, the Pride Lands of Africa, and a lot more. You’ll also be faced with challenges unique to each of the different in-game worlds, such as wildebeest stampedes, falling barrels, blizzards, and more, but no shortage of power-ups for you to earn. Now does the game sound familiar to you? 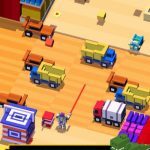 If you’ve played this game before, we’re sure it does, but this list of Disney Crossy Road tips and tricks deals with one of the aspects we talked about – collecting new characters. As a follow-up to our previous guide for secret characters, we’ll be talking about more than them here, and how and where you can get them in the game. Play as standard Bing Bong until you see a red and gray door in the level. Open that door and the Abstract version of Bing Bong is available to play. Complete any level with Abstract Bing Bong, then go next to Joy when you see her in the level. Once you move next to the standard Joy, she’ll turn into an abstract version of Joy, officially unlocking her. Complete any level with Abstract Bing Bong (see above). All there is to it, really. In order to unlock her, you can play as any character from The Jungle Book (e.g Mowgli), and get struck twice by lightning. It hurts, but at least the adult Nala is yours once you’ve been struck twice. Play the game as the original Baloo, and eat fruit ten times. This can be done whenever you see a fruit tree in your current level; just stand next to the tree and wait until Baloo eats one piece. For this character, you should be playing as Phineas Plump. Once you’re playing as him, you’ll have to avoid 25 armors that are hot on your trail. Fortunately, the 25 armors avoided can be done across different levels, and will count cumulatively. This one seems like a very straightforward task, though it’s no joke if you’re someone who’s played a Crossy Road game before. Score 1,500 points while playing as Rancis Fluggerbutter, and you’ve unlocked Gloyd. Yes, if you come to think of it, 1,500 is a lot of points, but at least you get another hidden character as a reward, right? 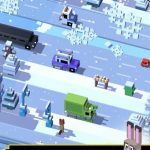 This one’s ironic, but such can be expected from a game based on the Crossy Road franchise. Play as Hookhand (Tangled) and go to the piano. Play it ten times (this can be accumulated over several runs or levels), and you can unlock the Horn Player. You’ll have to play as Jessie from Toy Story in order to unlock this character. At some point in the level, you’ll see a square where Mint in the Box Prospector is also there; jump onto the square and he’s unlocked. If you play the game as Mickey Mouse, all you have to do is to get past Mortimer, who appears in the level. Once you get past him, he’s officially unlocked. We hate to disappoint you with this one, Lion King fans. Mufasa can be quite challenging to unlock, even if playing as Simba is pretty much cut-and dry. While playing as Simba, have him spend more than a few seconds near the stampedes. This can be tricky, as you’ll have to go behind the rock as the animals pass by charging, and go to the other side of the rock when the animals return for another charge.